Survival Run is not an obstacle course race or an ultramarathon, but a combination of both. It is not a standard definition of an obstacle course race, with mud, manufactured obstacles and gimmicky fire jumps. Survival Run is all about adapting to the environment and taking on challenges that are part of the culture and location where the event takes place. Survival Runs don't pretend to be dangerous, they are dangerous. That is why they are by application and allow only those who are truly physically and mentally prepared to take on the extreme challenges. Survival Run also tries to educate and help. 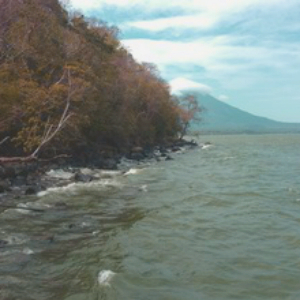 For example, all of the Survival Runners in Nicaragua learned some of what it is like to live on Isla de Ometepe as a farmer, hunter, guide or fisherman. They carried chickens, firewood, climbed trees, were arrested by local police, cleaned land for a cacao plantation, dragged logs, swam with makeshift flotation devices, climbed volcanoes, worked for their food and more. On top of that, the chickens were donated to the local village of Los Ramos for food, bamboo poles used for construction of a building, the trees cleared for a local organic cacao plantation, the bottles from makeshift rafts recycled to build homes etc. Survival Run will strive for the same type of education and philanthropic twist everywhere it goes, adapting to its location and environment to create the most extreme and challenging experiences on earth. Can you finish the next Survival Run?